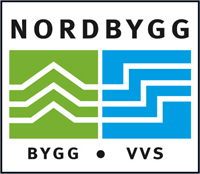 We have an honor and a big pleasure to invite you to visit our stand during the International exhibition of building and installation NORDBYGG 2010. The fairs will be held in Stockholm International Fairs, address: S-125, 80 Stockholm, Mässvägen, Sweden, between 23rd-26th of March 2010. In a Hall A on our stand A30:52 you will have a chance meet our design radiators. The high quality, exceptional design and unique colours achieved by using hi tech technology, will make a huge impression even on specialist who are in the branch for a long time. During the fair you will receive detailed information about the products, and start cooperation by distributing design radiators SUNERZHA on your markets. We cordially invite you, and look forward to see you from 23rd of March.